We've developed some amazing apps using Xojo. Xojo is designed to create apps for Mac OS, Windows, iOS, and web apps that run in web browser. We've created some of each. In the past, we developed several Mac & Windows apps, the "Reference for FileMaker" iOS app, the "PingPong API" Web App, along with creating web apps to replace FileMaker solutions. We're also in the midst of converting a client's FileMaker solution to a Xojo Web App as well as converting the "Art Licensing Manager" from FileMaker to Xojo as a Web App. 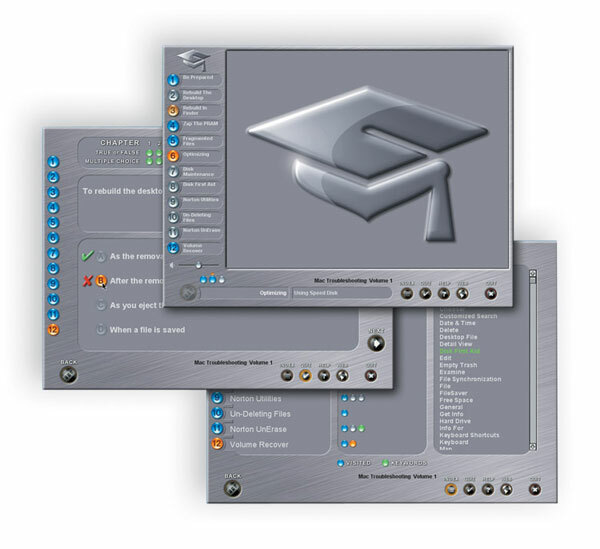 When I worked for MacAcademy / WindowsAcademy, we developed the CDROM interface that played training videos and also had an index and an quiz. If you passed the quiz, we would offer to print a certificate too! What I'm getting at is Xojo is extremely versatile. Xojo gives us the power to develop just about anything. We're now using Xojo Web Apps to create custom database solutions that work like FileMaker Pro, but without all the expense of the FileMaker licensing costs. Xojo's developer based licensing is simple. You can run the demo forever to run and test your apps. When you purchase a license, you can compile your apps for distribution. We prefer the Pro license as it allows us to compile for everything ( Mac OS, Windows, Linux, iOS, and Web Apps ). If you don't need everything, you can purchase just want you want. The cost of a Xojo Pro license costs less than purchasing three copies of FileMaker Pro and only the developer needs to buy a Xojo license! Only the developer needs a Xojo license as Xojo's licensing is royalty free. We can create apps with Xojo to sell or give away and not need to pay anything additional. Our FileMaker projects are quite different as FileMaker Inc requires every user of our solutions to purchase either a perpetual or annual license. As you can imagine, developing an app with Xojo can save quite a bit of money over time. Xojo Web Apps are spectacular. When we build a web app, we're writing an app that runs on a computer running Mac OS, Windows, Linux, or even Raspberry Pi as the "server". Everyone who uses the app connects with their web browser like Safari or Chrome. Since the app is really running on the server, the users only needs a device with a web browser. If you use FileMaker, it's like having WebDirect but at $0 per connection. The "server" can be just about any type of computer. We've run Xojo Web Apps on Mac Mini, Raspberry Pi, and for more power, on Amazon's EC2 Servers running Linux. Xojo runs a sample Web App that you can try out. The thing I love about Xojo Web Apps is that the feel like desktop apps. There's no waiting for pages to reload on every click. Truly amazing. To scale, all we need to do is run more copies of the Web App. We're finding that one server is plenty for most Web Apps though. For one server apps, we're using SQLite Databases which is a file based method of using SQL that doesn't require a server for the database. It has a benefit of running locally rather than over your network or the internet. In order to scale, we're using MySQL which is network based so each running Web App can access the same database. Running the Web Apps and database on Amazon servers makes this really easy. One server web apps just need an Amazon Linux EC2 server since the database is just a file on the hard drive. Once the web app is running all users connect to the server. When you move to running more than one instance of the Web App, we move the database to Amazon's MySQL hosting service and then run multiple Amazon Linux EC2 servers all running the exact same app that now connects to the MySQL Server. Get in touch and we can talk about what you need. We can help with new projects or converting existing projects to Xojo. If you're using FileMaker and are concerned with the price increases, we can develop a Xojo Web App for you which will pay for itself just from the savings on the FileMaker licensing that you're paying year after year!